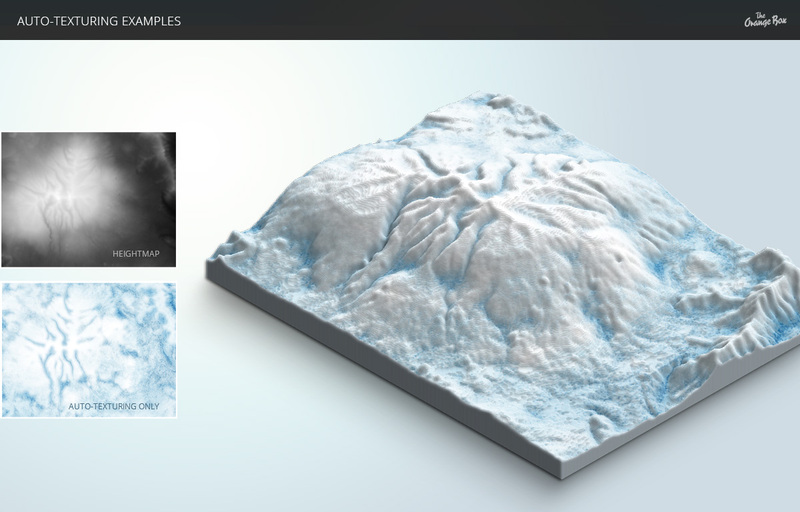 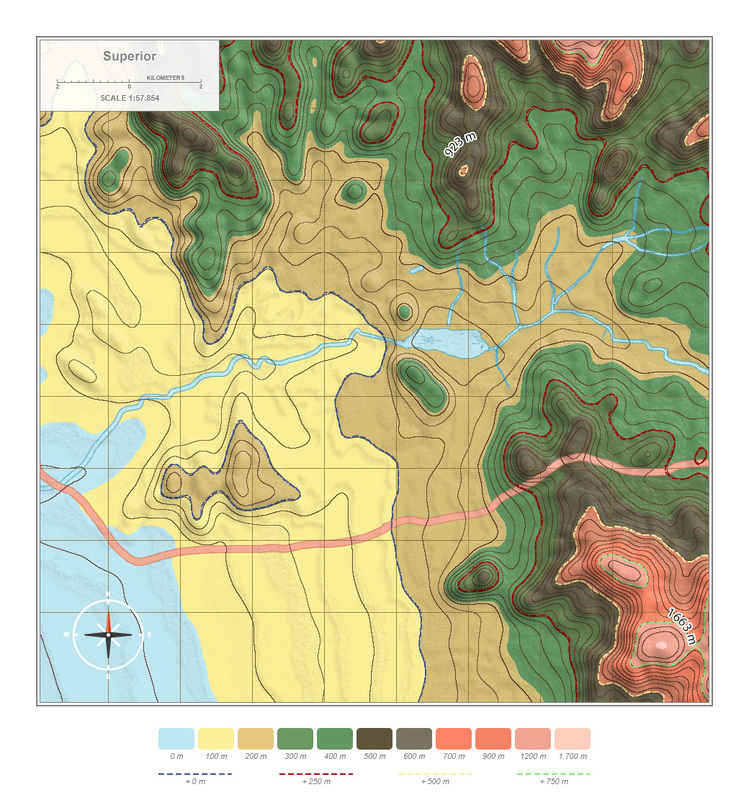 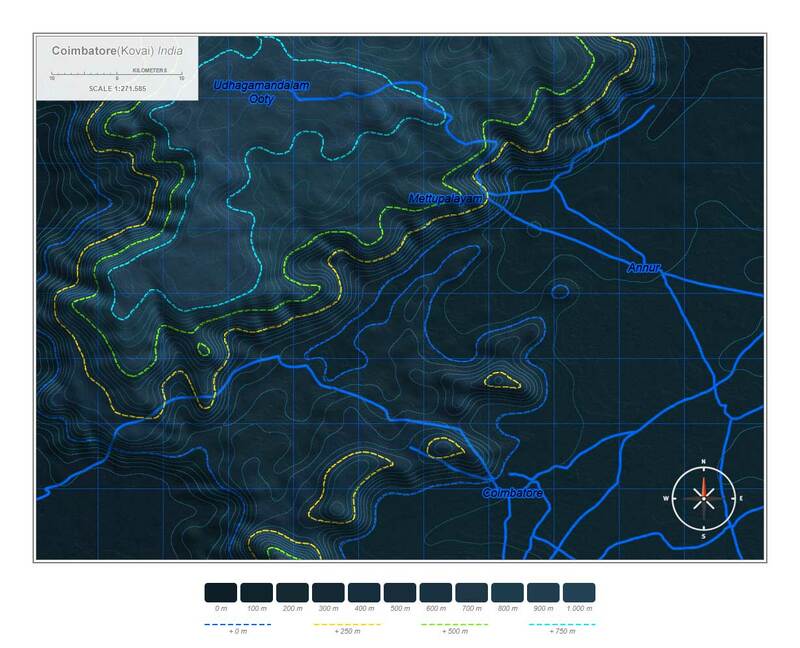 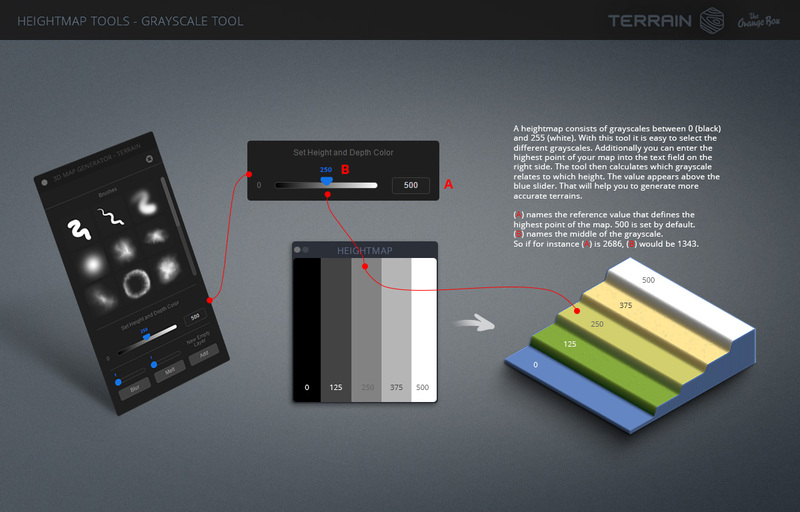 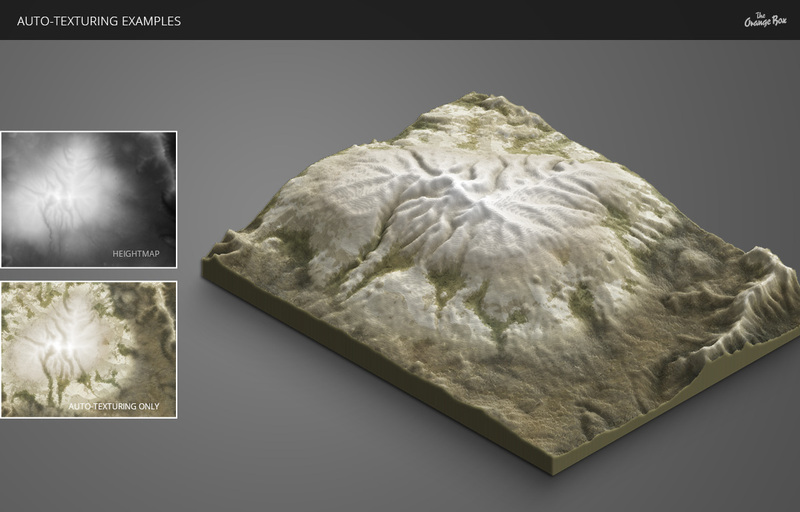 With the 3D Map Generator – Terrain you can easily create a grayscale heightmap and then generate a 3D terrain out of it. 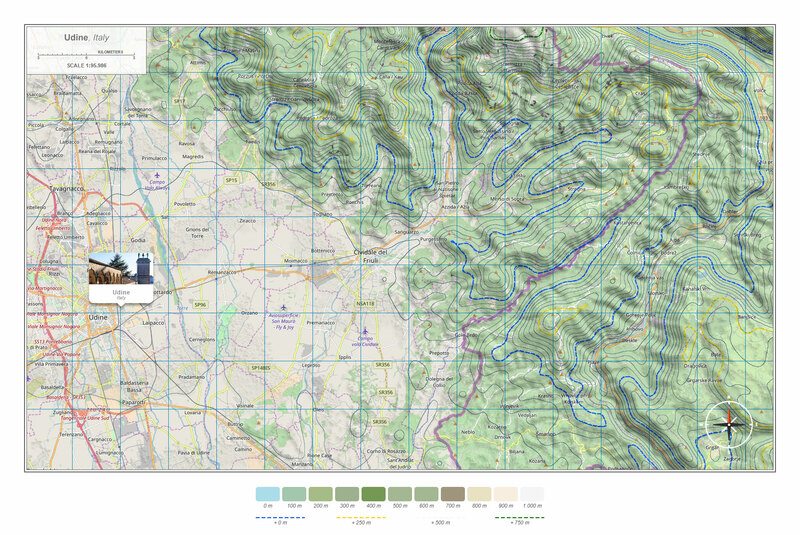 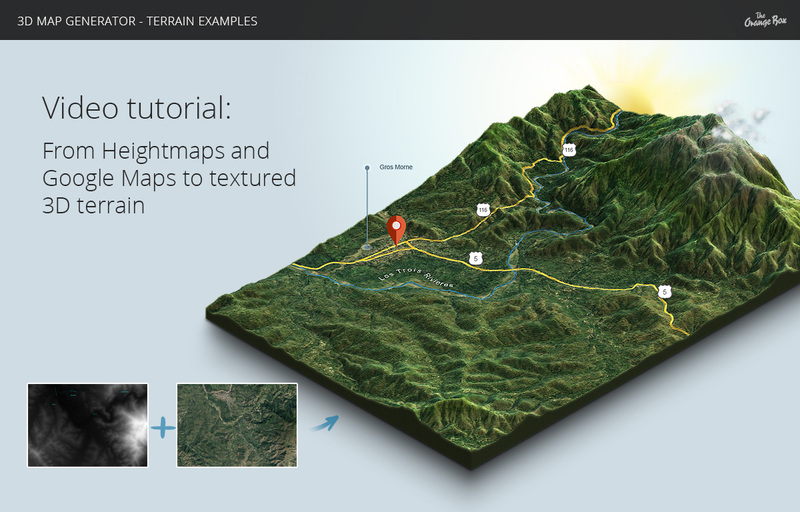 The extensive features of our plugin are real time savers for creatives who want to create professional and high-quality maps in no time. 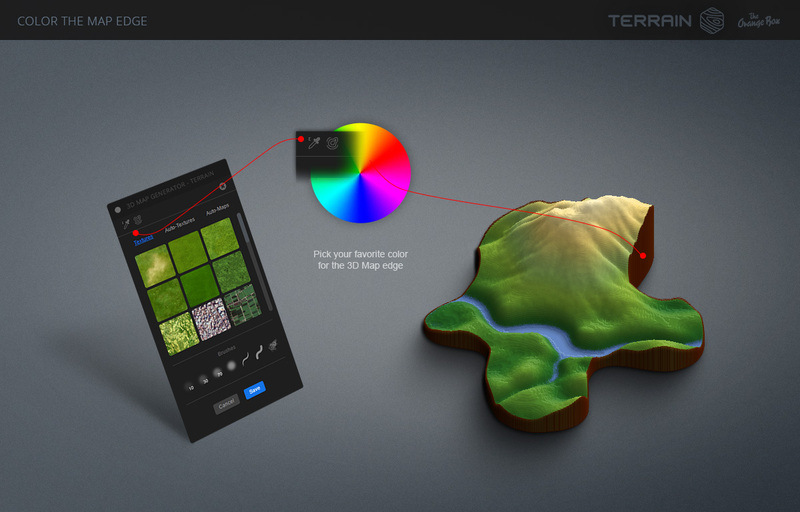 And the best thing is: you don‘t need to be a Photoshop pro! 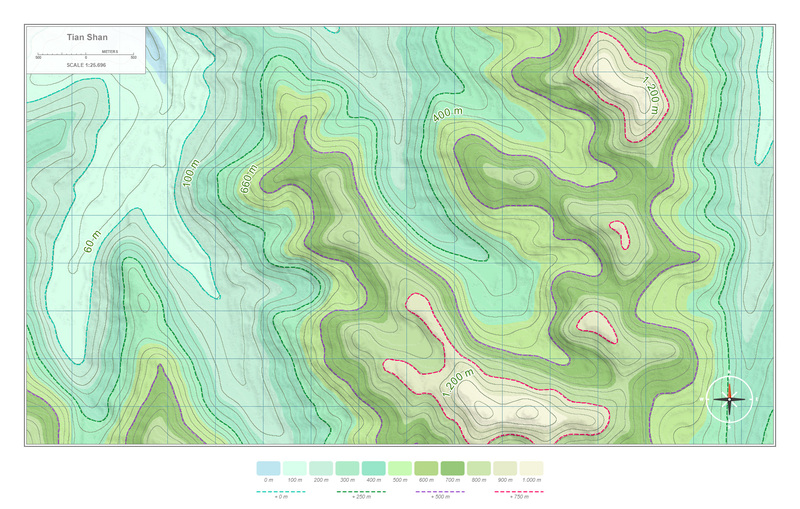 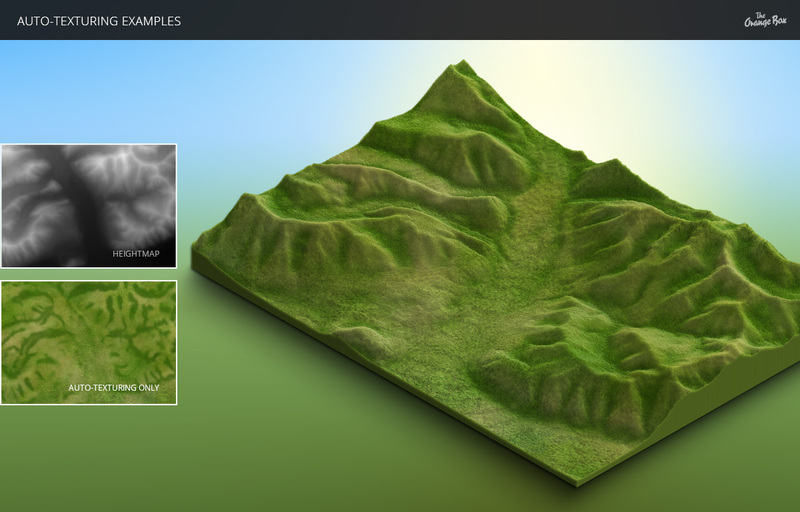 Draw or modify a heightmap with the heightmap tools. 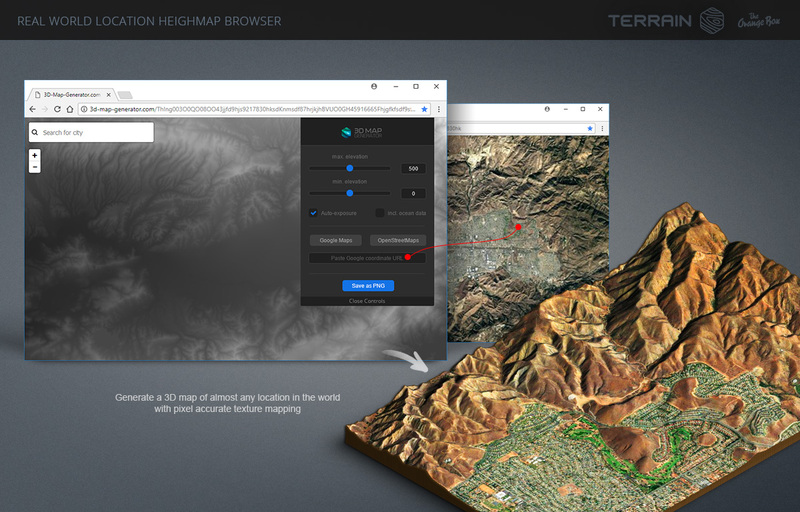 Get real world heightmaps from real locations. 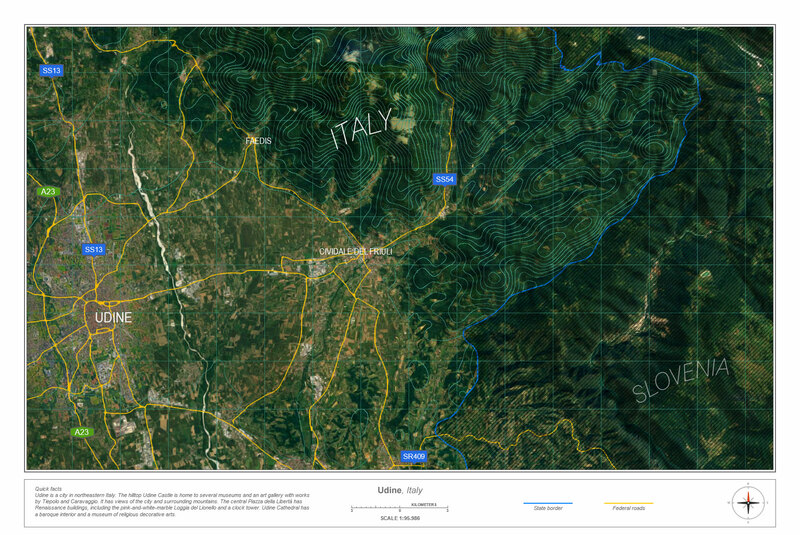 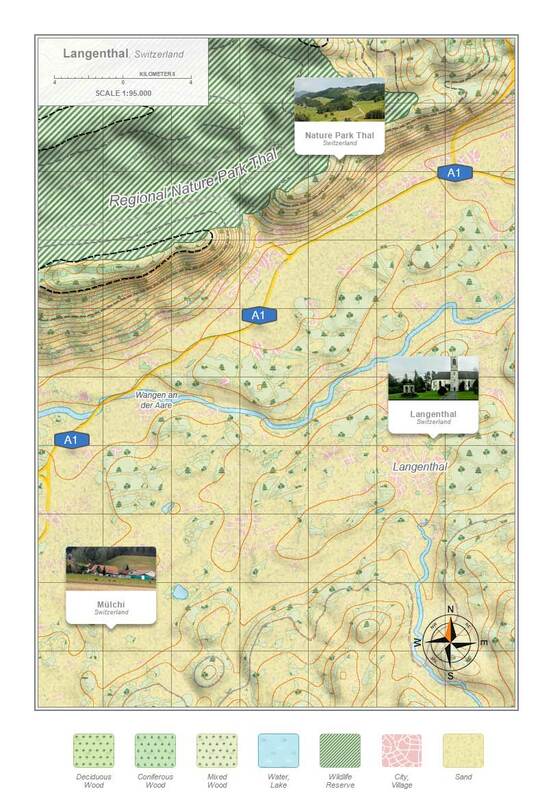 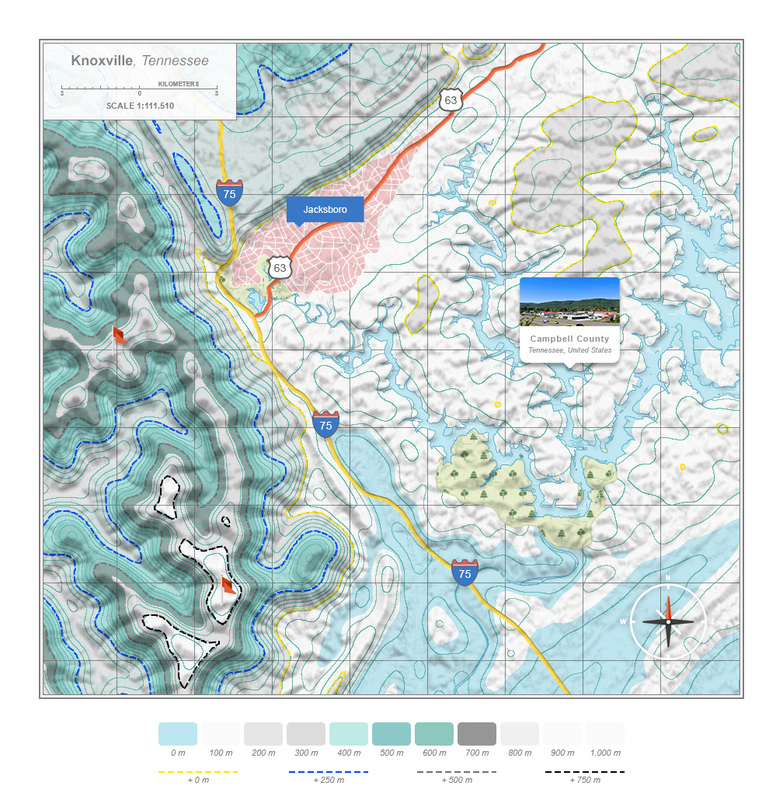 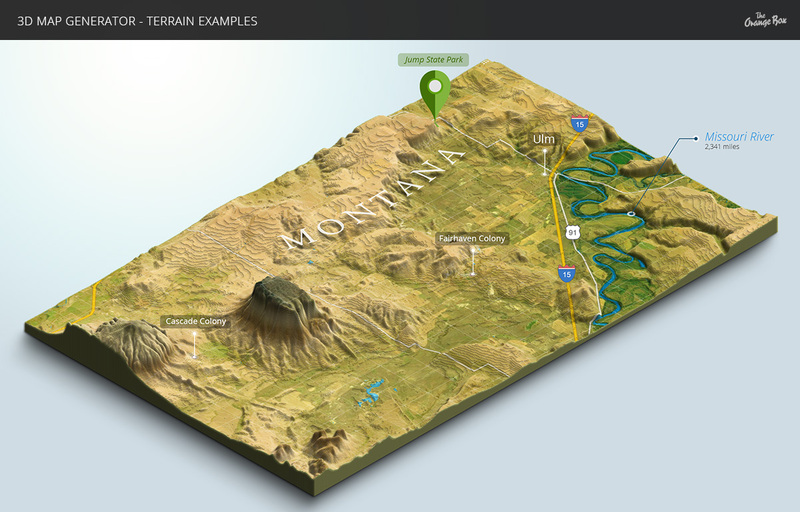 Specify the map elevation and orientation and generate an isometric 3D map. 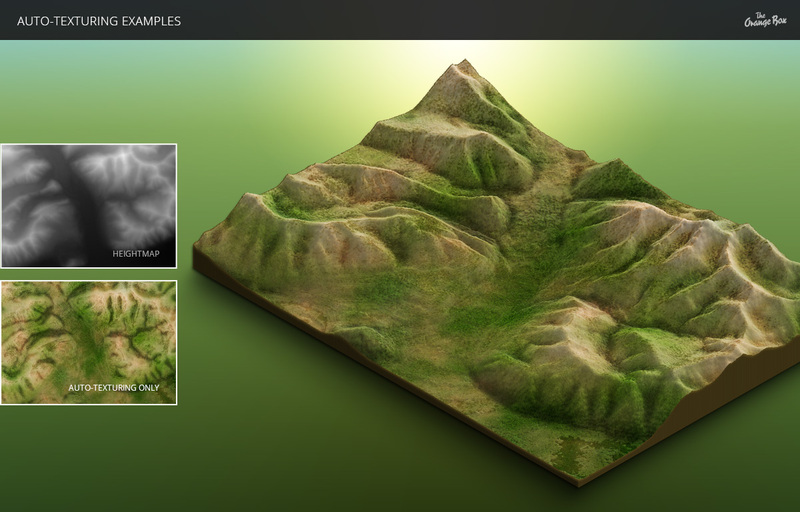 Style the map surface with editable gradient presets, seamless textures, Contour Lines tool, Water Level tool and EFX brushes. 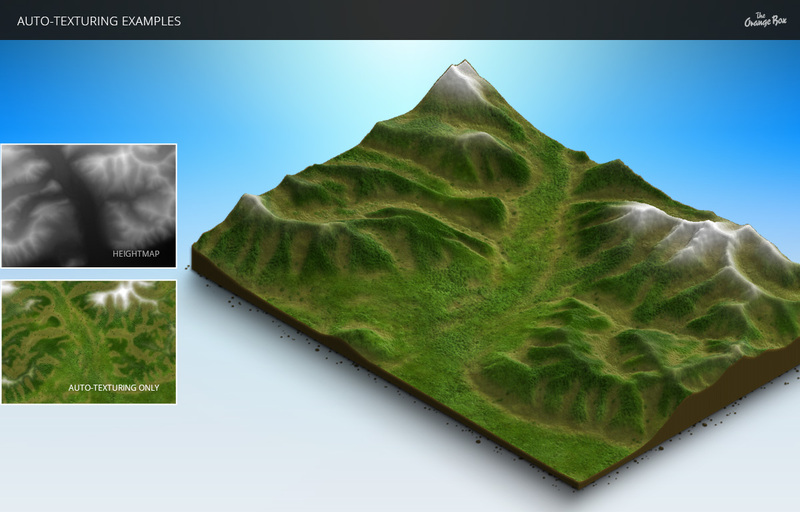 Change the map height, style the background, determine the Map lighting, place high quality isometric map icons from the icons library. 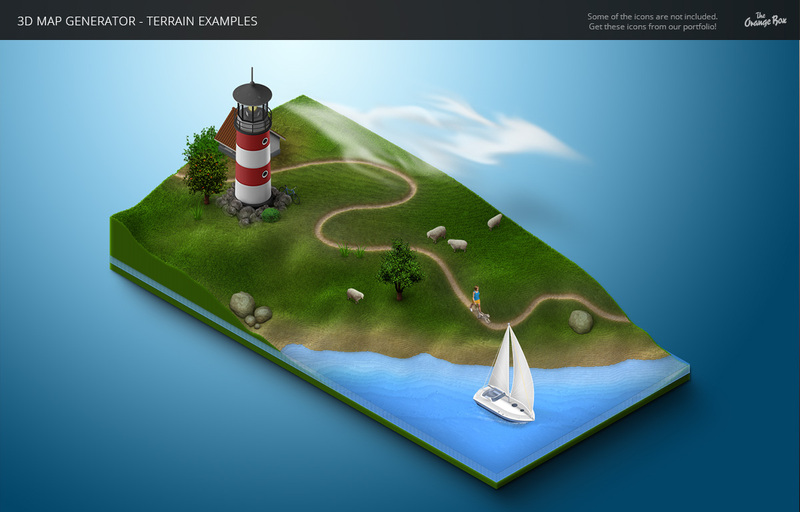 Load your own icons into the library. 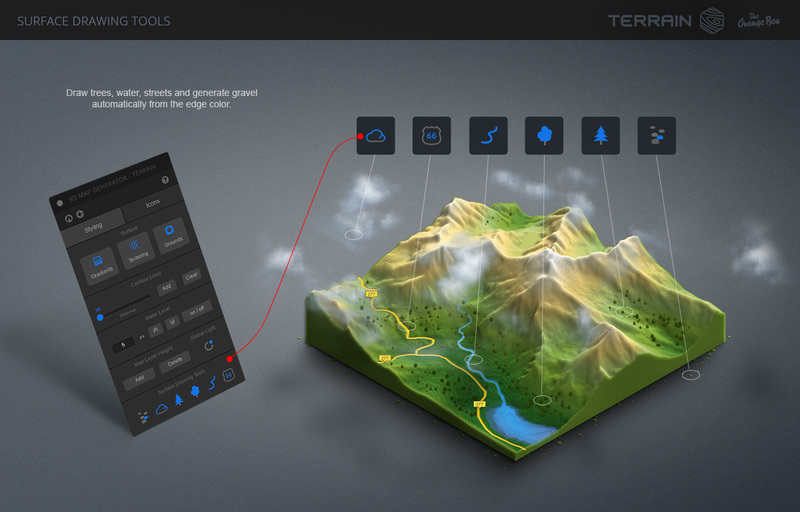 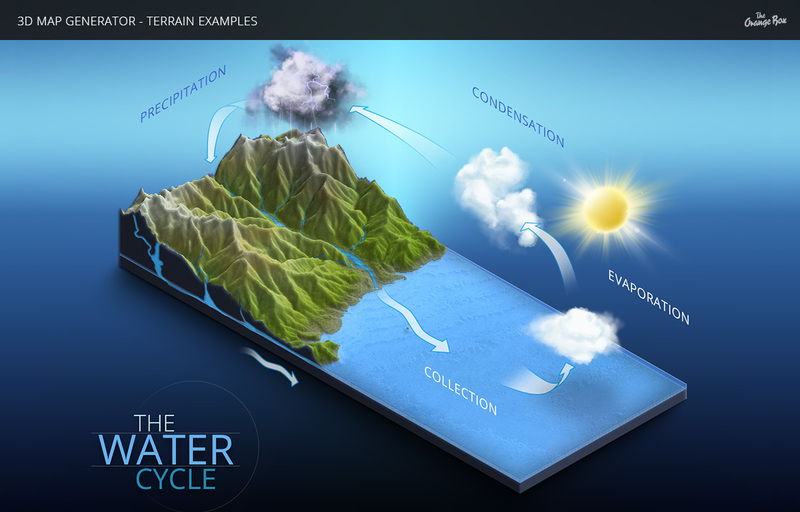 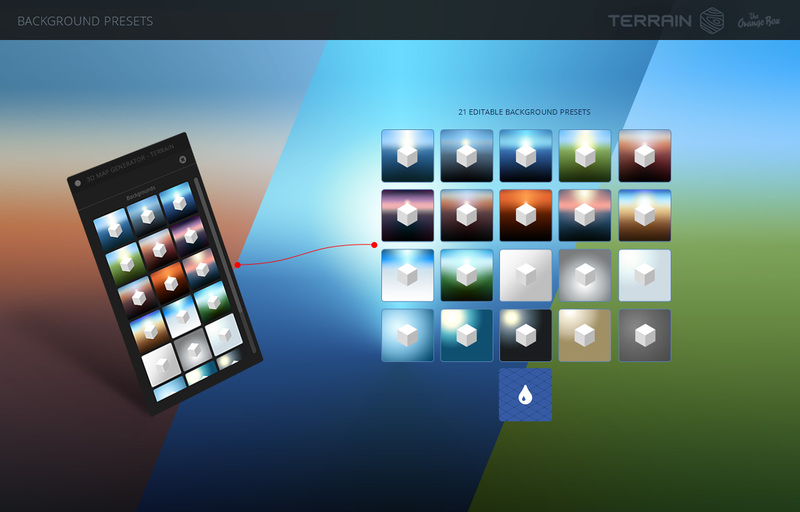 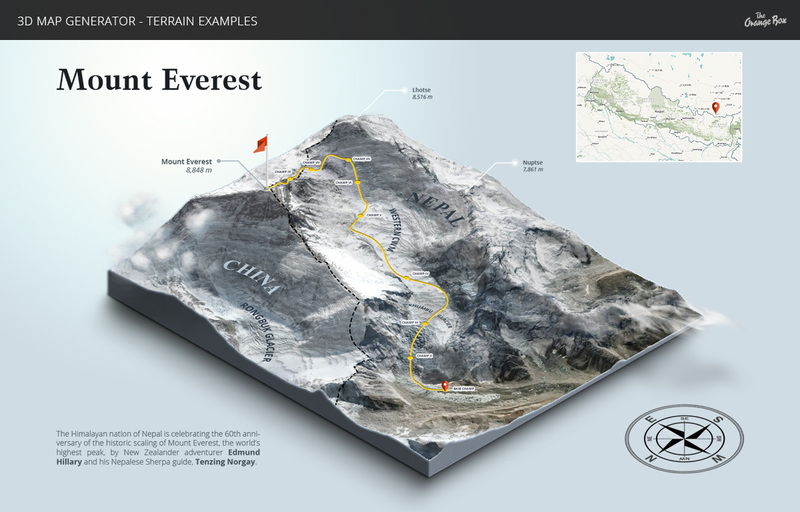 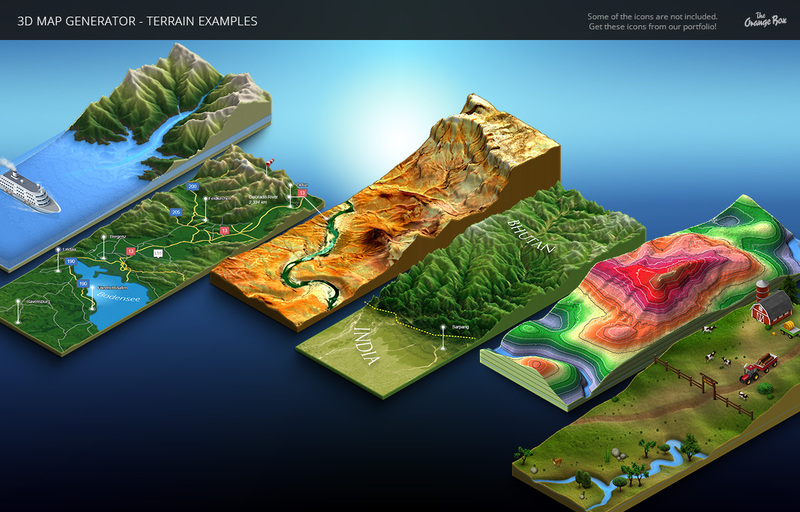 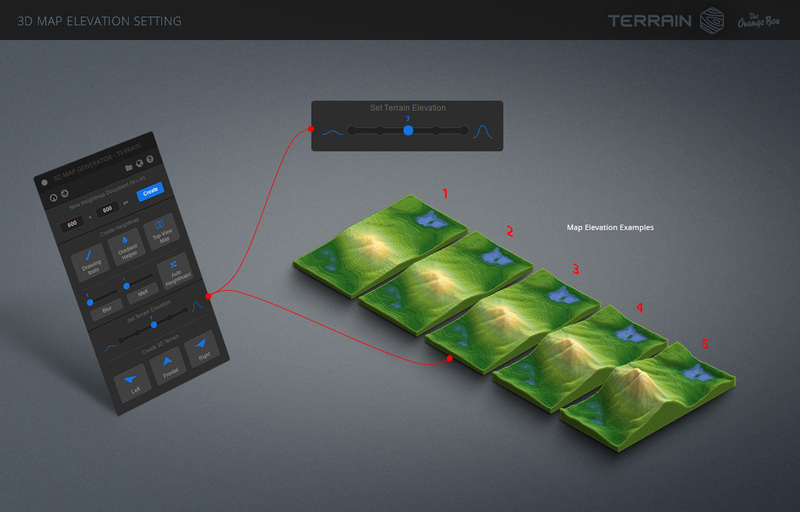 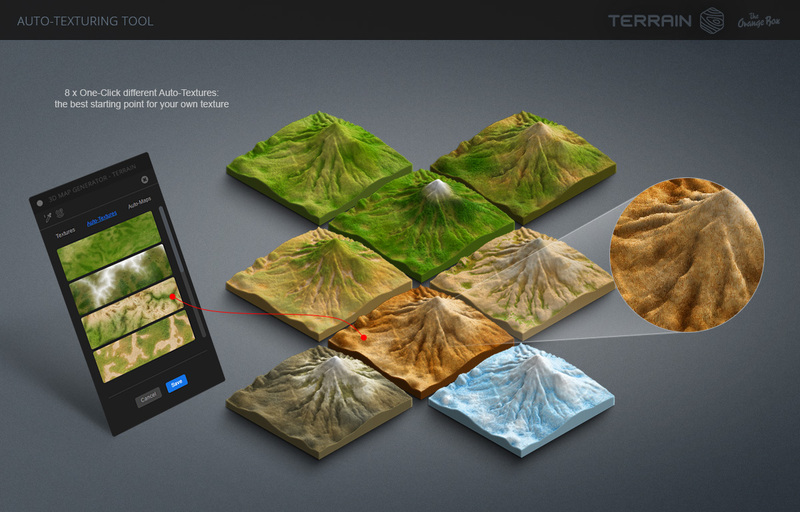 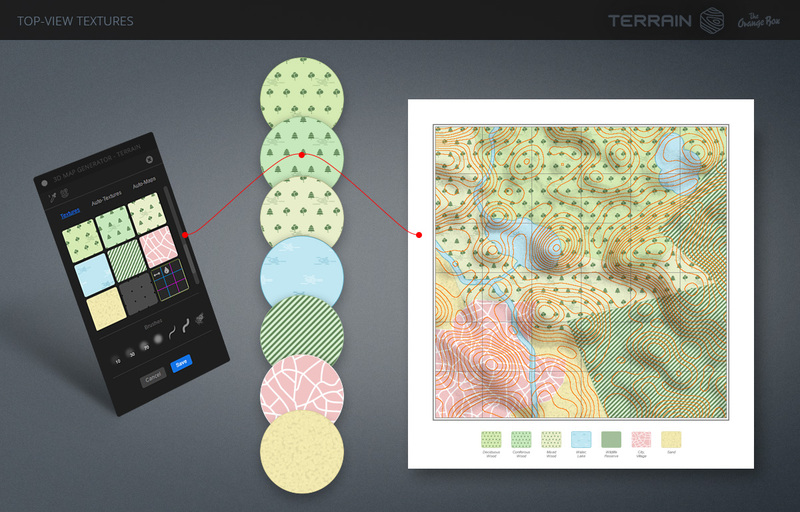 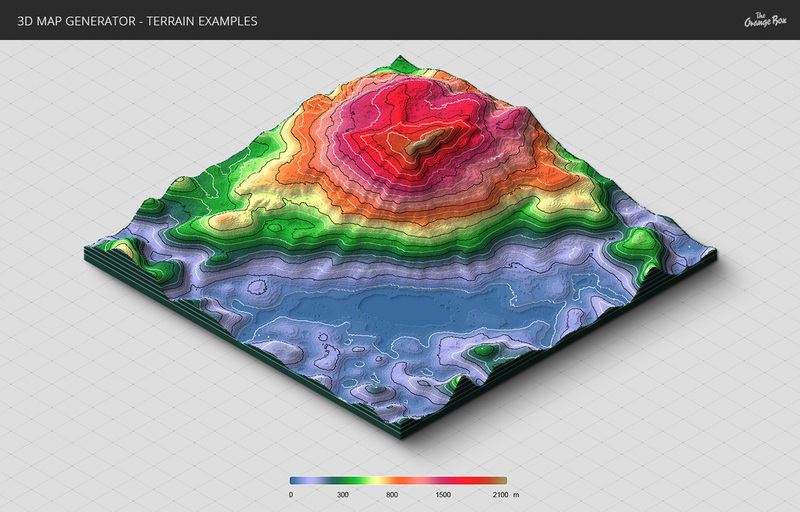 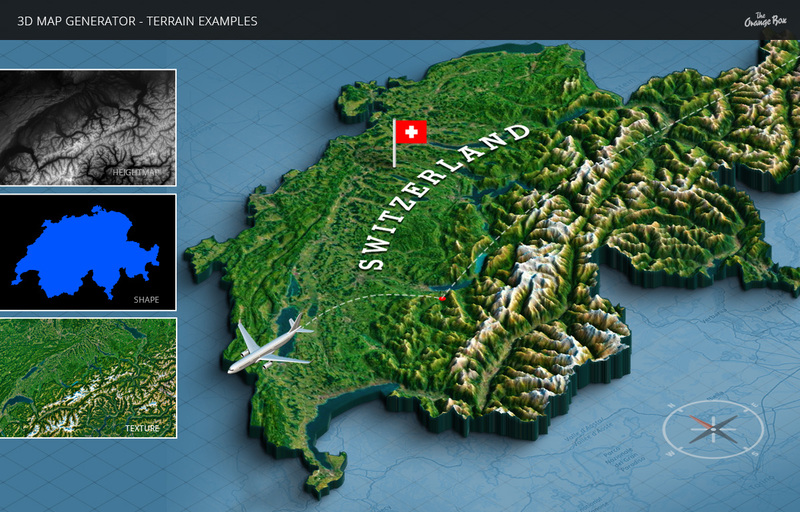 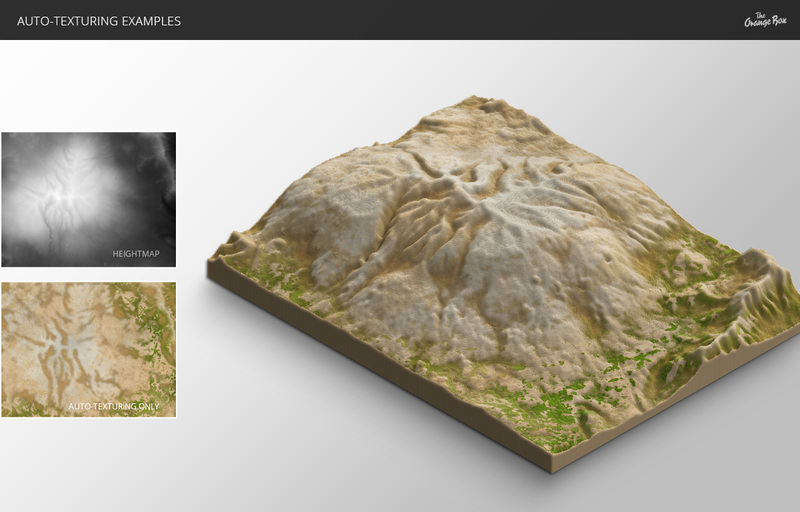 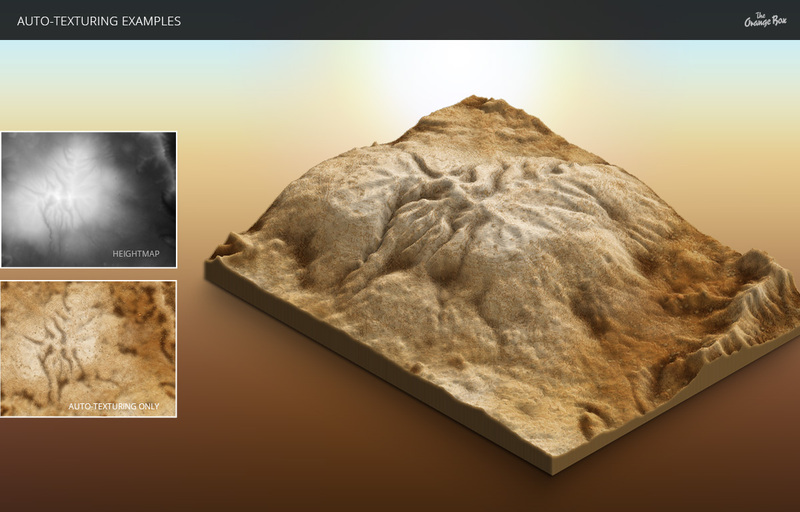 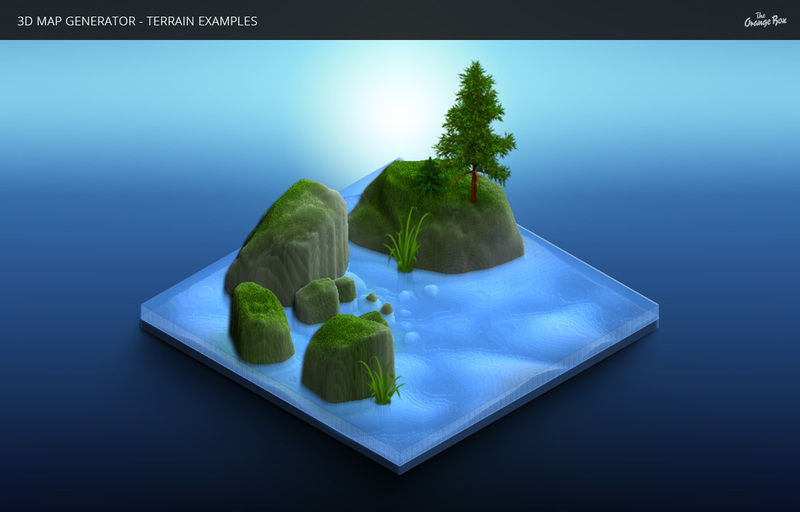 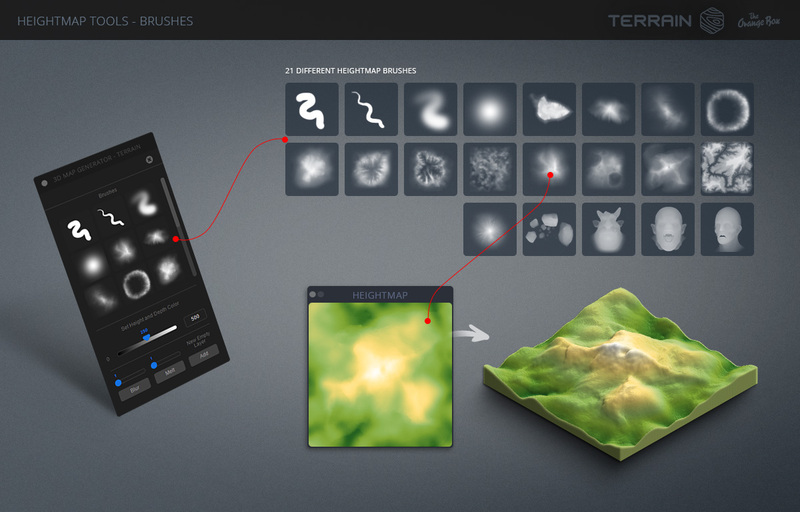 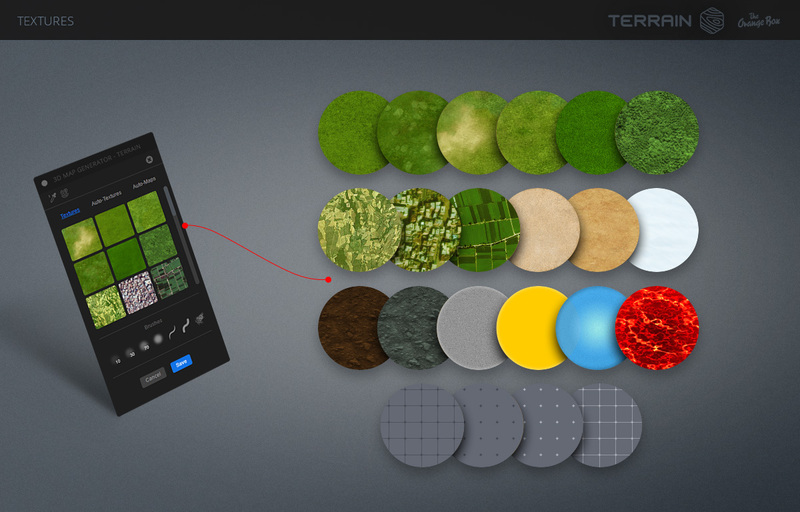 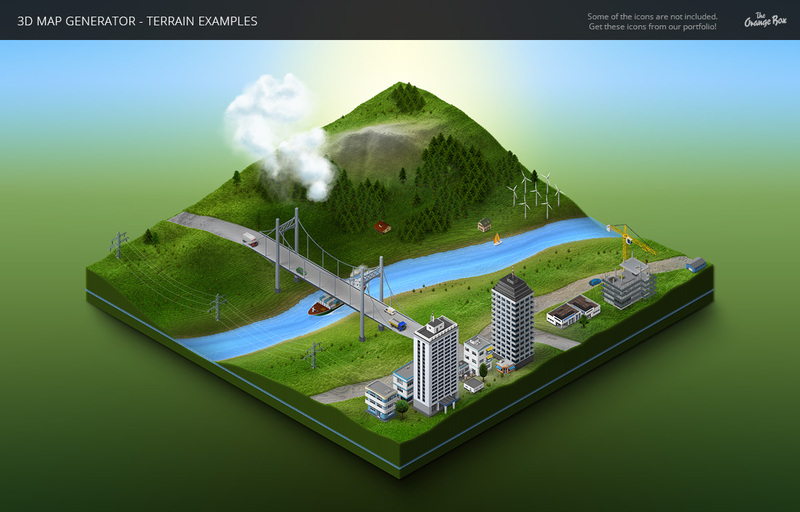 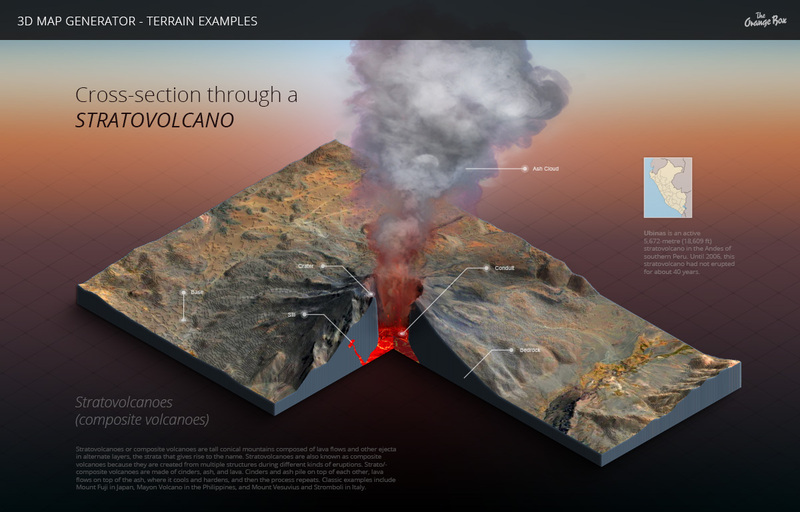 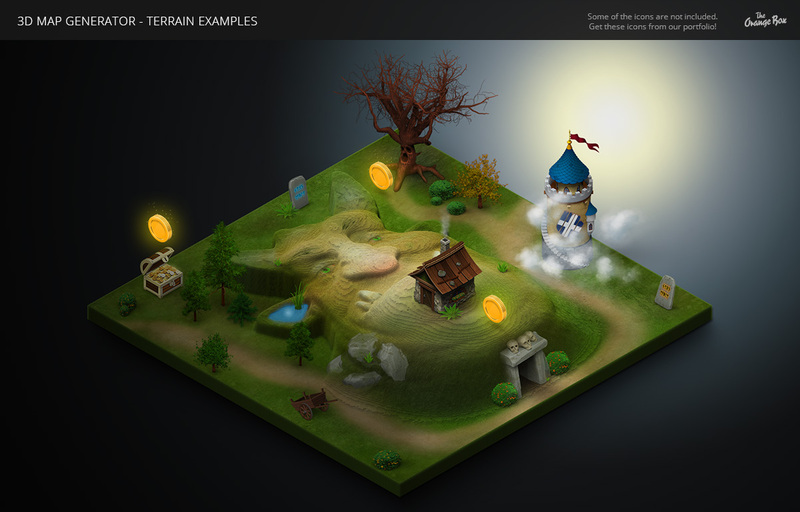 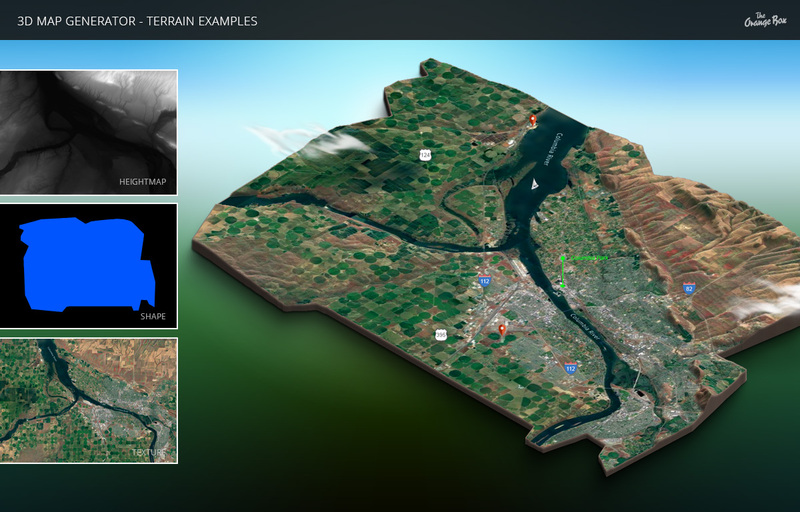 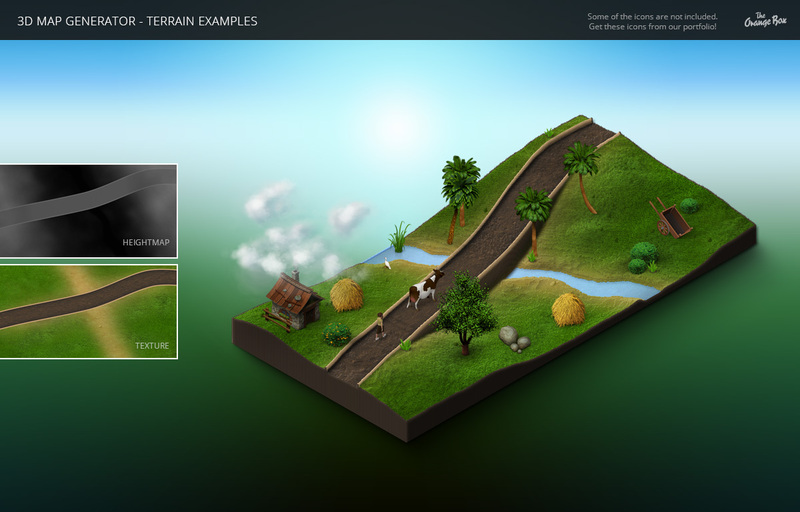 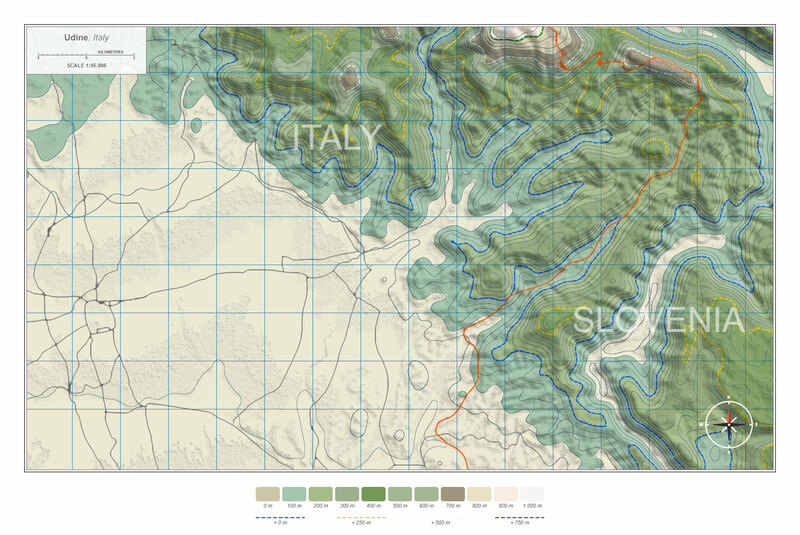 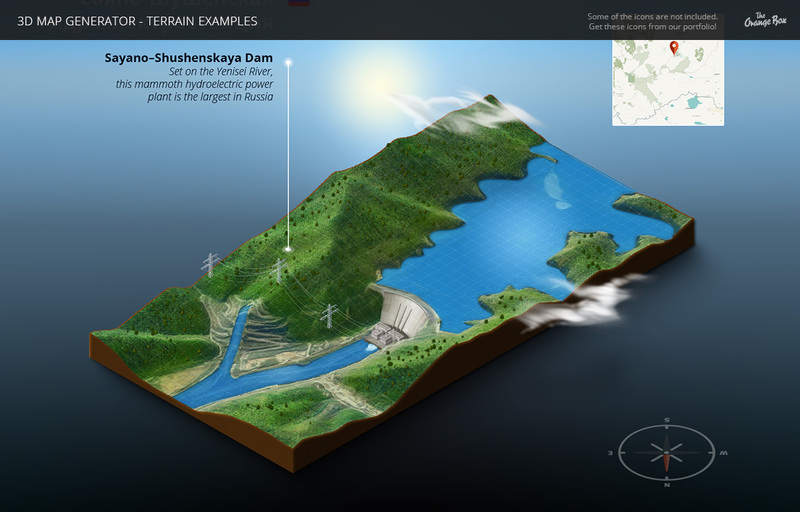 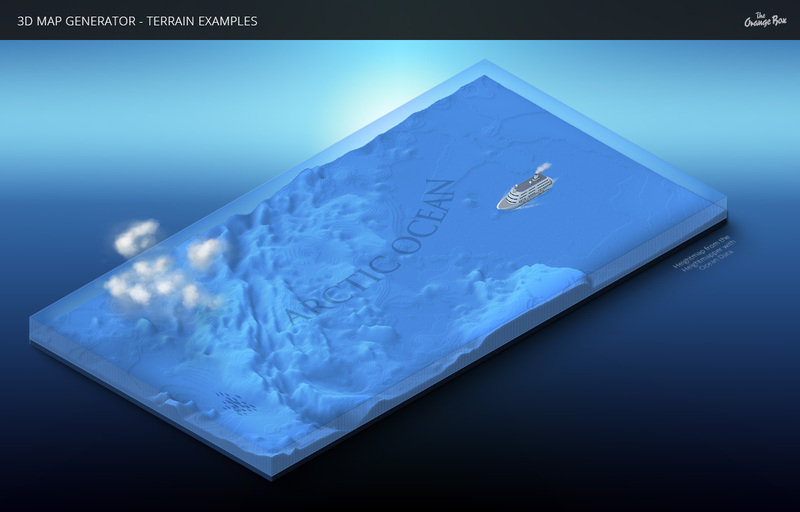 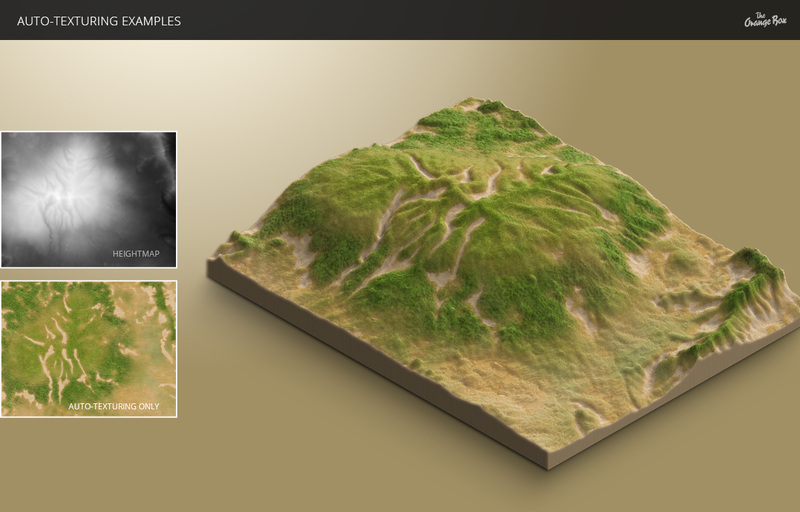 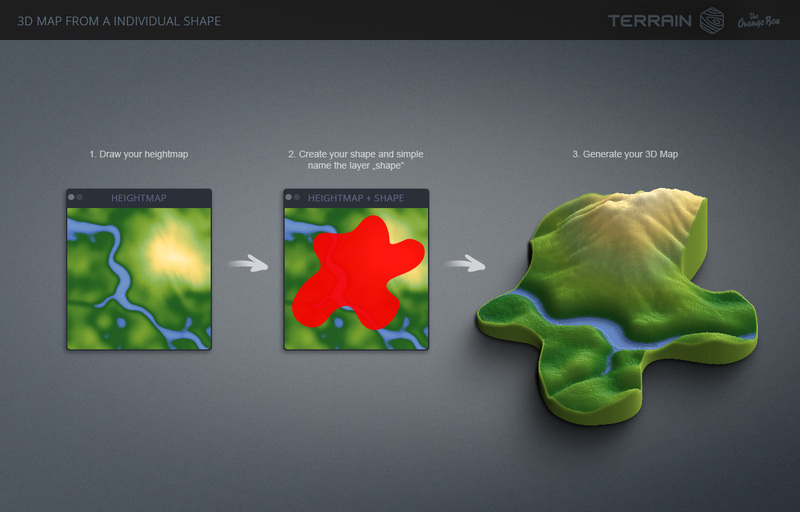 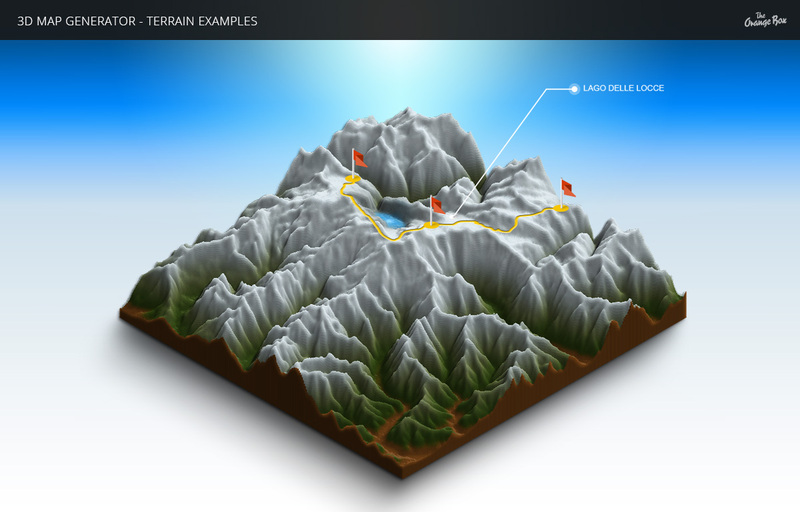 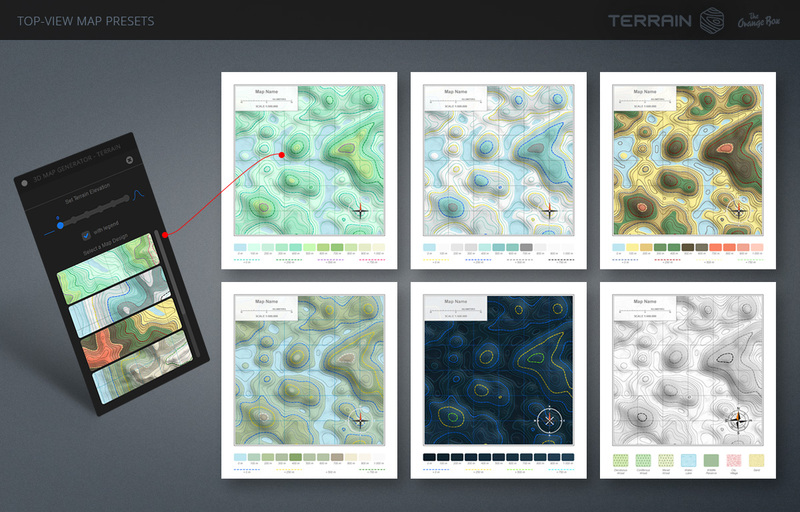 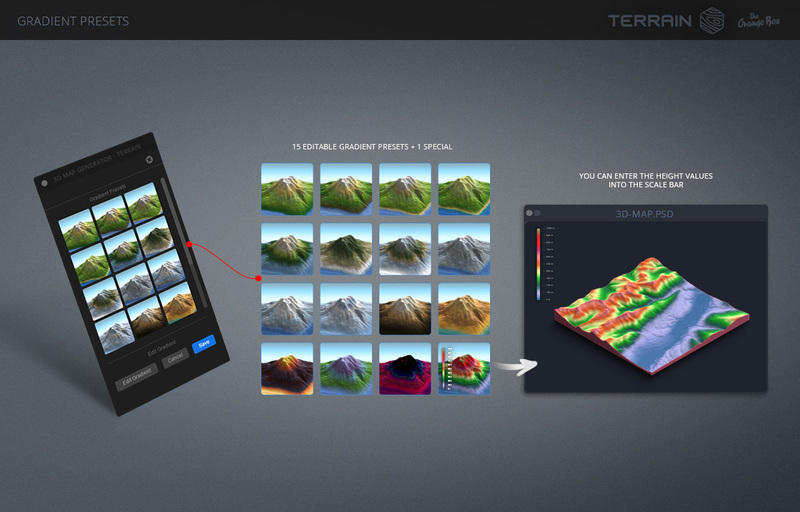 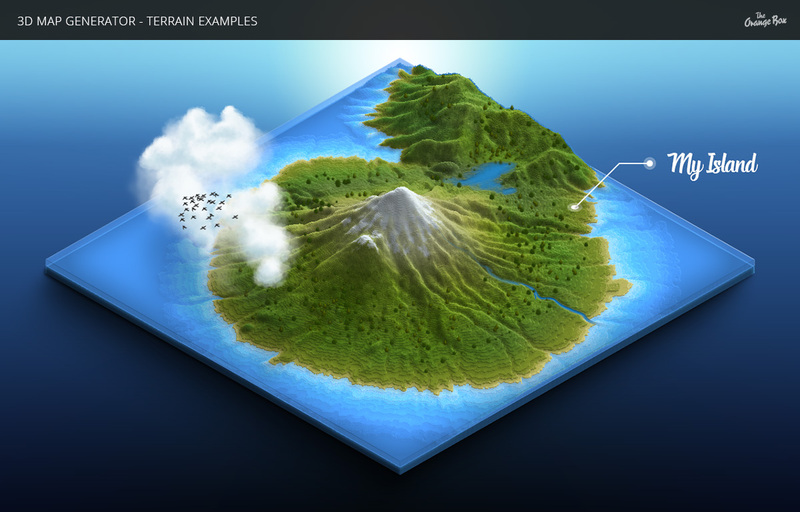 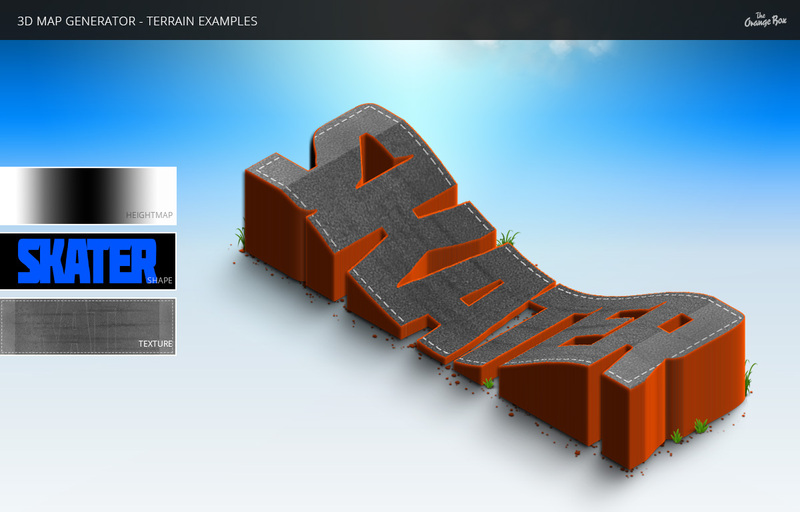 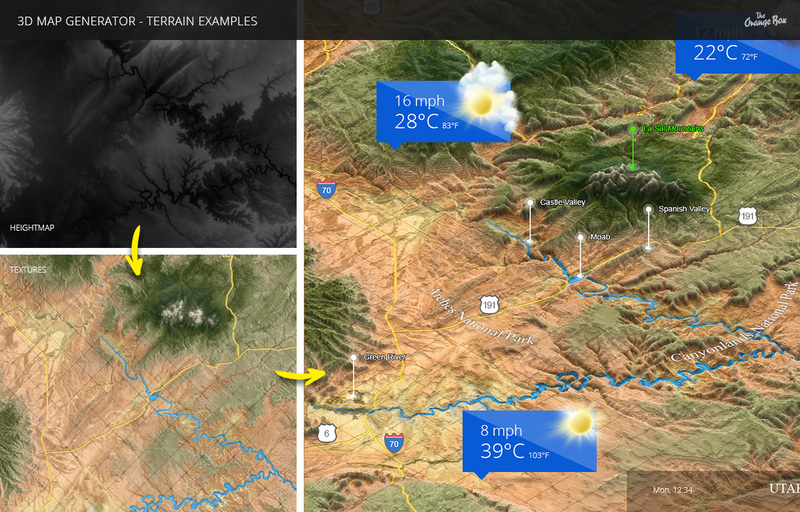 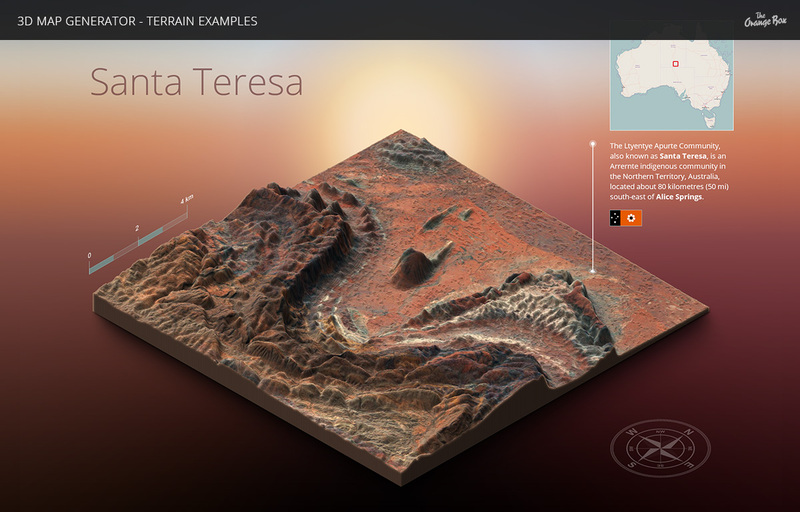 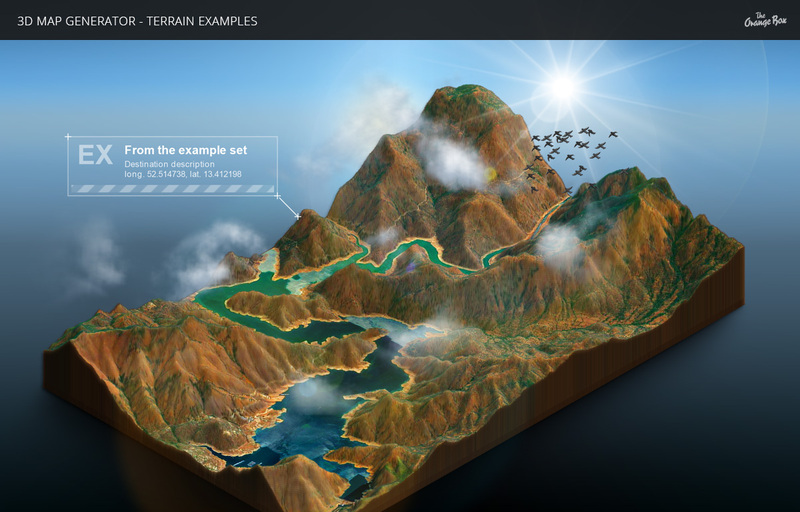 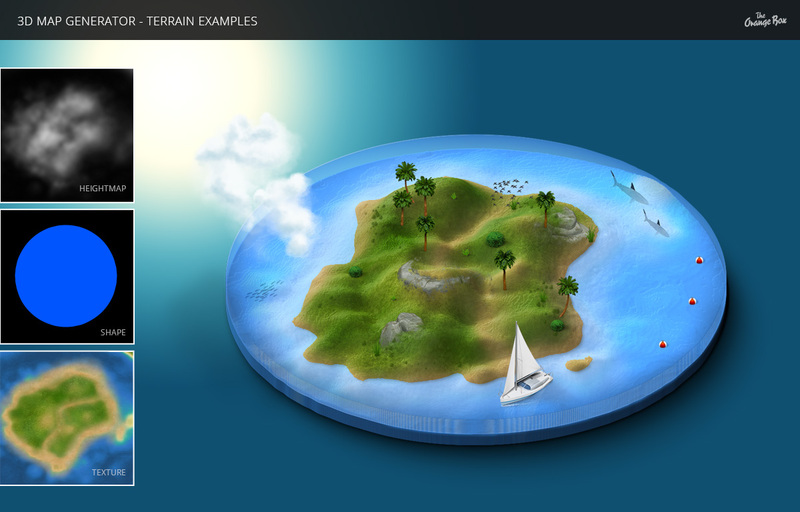 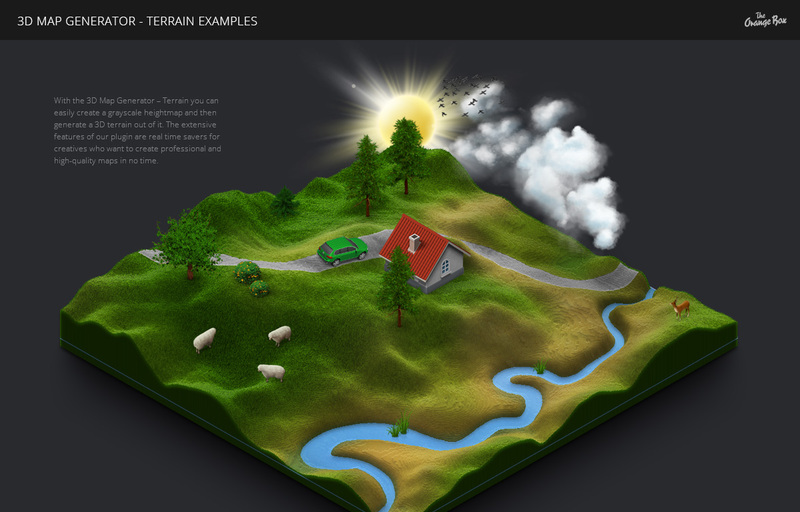 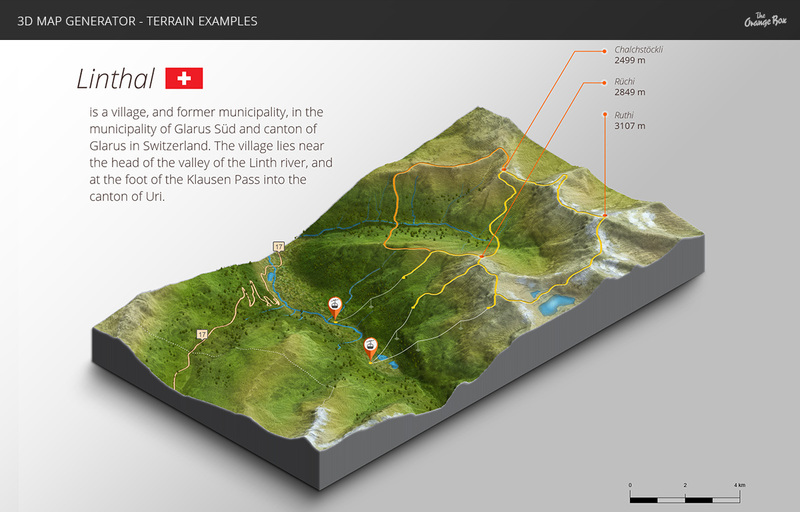 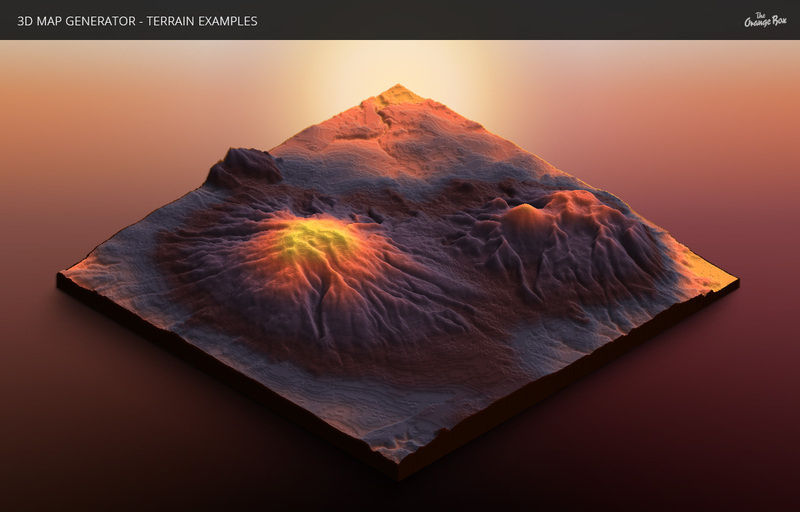 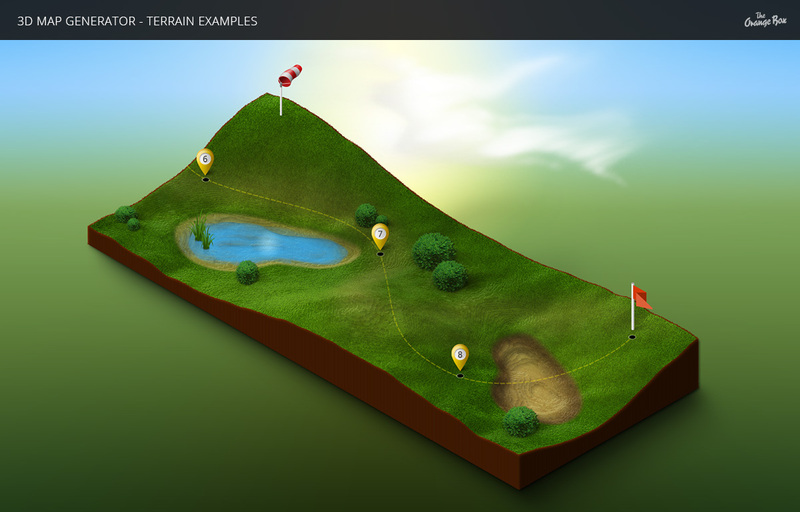 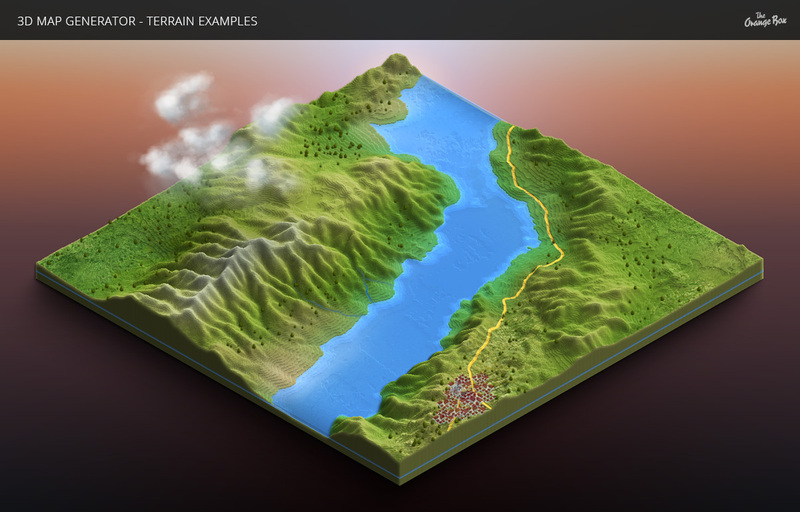 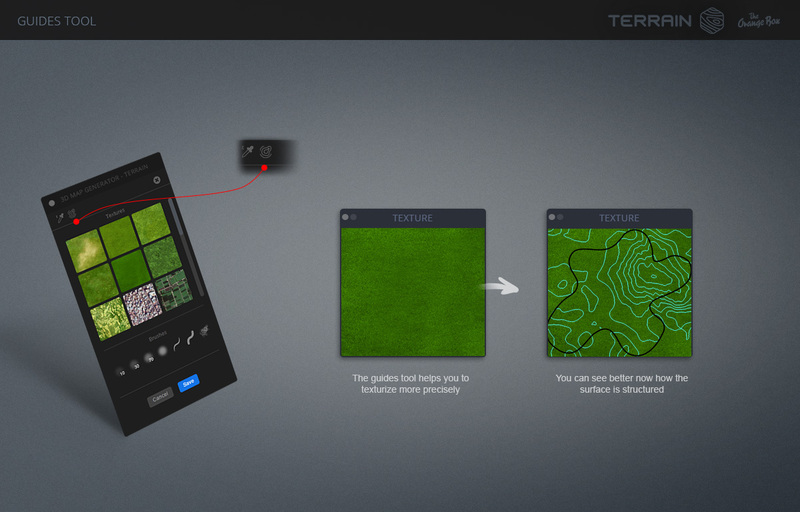 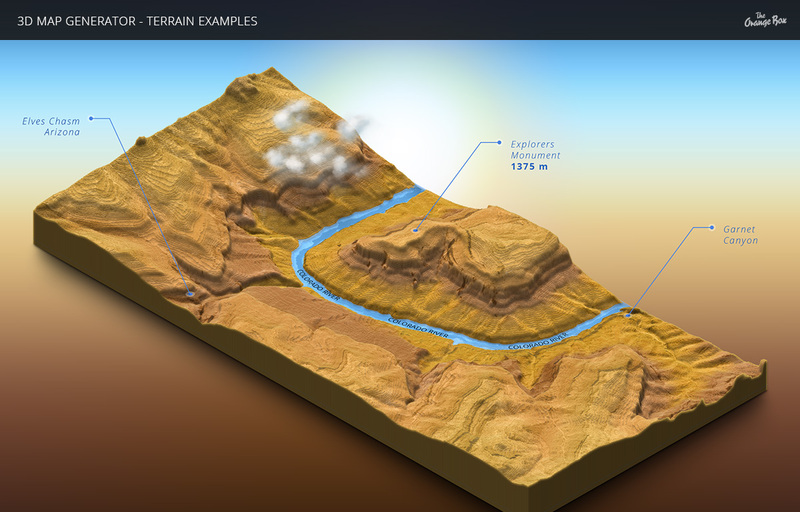 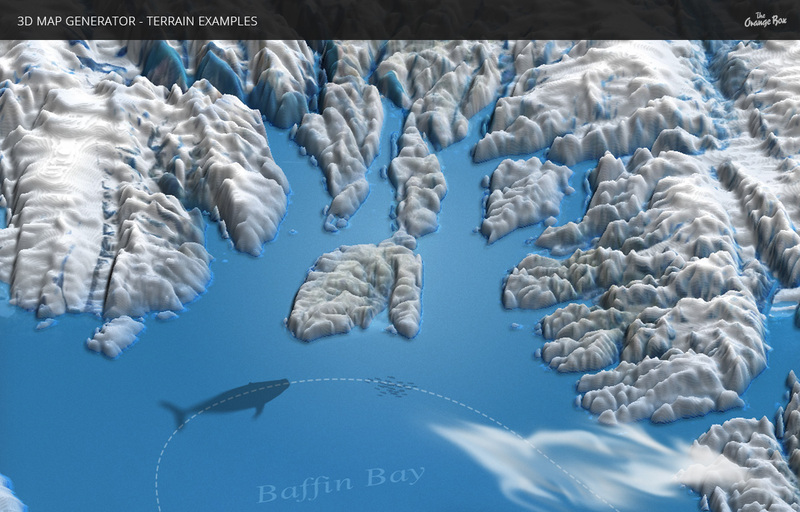 Create professional 3D terrains with just a couple of clicks. 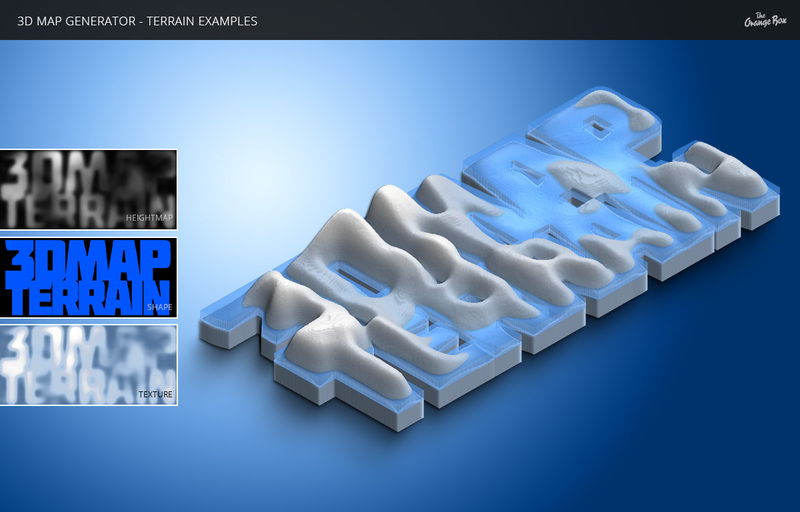 All with one tool and a few clicks in Photoshop!